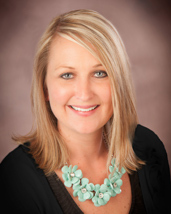 DesaRae Ludolph has been a mortgage loan officer since 2005. She prides herself on the customer service and in-depth communication she provides to both her clients and the other individuals who are part of the transaction, helping to make the loan process smooth for all parties. This truly sets her apart from the competition. DesaRae is well versed in all loan types including conventional, FHA, RD, VA, and first-time homebuyer loans. DesaRae was born and raised in Bloomington/Normal and earned a business degree from Illinois Wesleyan University. She stays very active with her husband and children along with her many siblings. Whether you are looking to buy or refinance, please contact DesaRae to discuss your financial needs.